According to “GS-Expert” estimates, in 2017 Russia produced 54.7 million tons of cement, which is 0.3% less than in the same period of the previous year. At the same time in August, September, November and December there was an increase in production volumes. Positive production dynamics in 2017 was observed in 19 out of 42 regions where cement plants (or grinding terminals) are located. The highest growth rates were typical for the Jewish Autonomous Region (an increase of 1.46 times compared with the level of the previous year), the Republic of Mordovia (1.32 times), Kaluga Region (1.26-fold growth), Perm Territory (growth in 1.24 times), the Saratov region (an increase of 1.15 times). The largest drop in the output of these products was noted in the Altai Territory (production volume was only 52.6% to the level of 2016), Kamchatka Territory (70.5%), Belgorod Region (75.5%), Ulyanovsk Region (76.9% %). 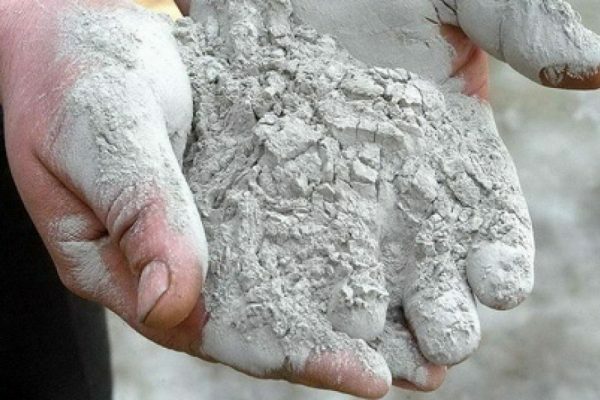 The release of cement in the Arkhangelsk, Samara, Tyumen, Sakhalin and Amur oblasts, as well as in the Komi Republic in 2017, was not carried out. The volume of cement shipment by large and medium-sized enterprises by all types of transport decreased by 0.9% compared to the level of the previous year. The volume of cement shipment by rail to the domestic market decreased by 1.3%. The share of railway transport in the cement shipment structure was about 47.5%. The volume of cement imports in 2017 amounted to about 1.9 million tons, which is 1.4% more than in 2016. The bulk of supplies fell to Belarus (66%) and Kazakhstan (20%). Export of cement grew by 7.3% to 1.1 million tons. The main destinations for supply are Kazakhstan (62%) and Belarus (24%). Consumption of cement in Russia in 2017 decreased by 1.3% compared to the level of 2016 and amounted to 55.2 million tons. In the fourth quarter, consumption volumes grew by 3.4% compared to the same period of the previous year of the year. Among the subjects of the Federation, the growth in the volume of consumption of cement was noted in 40 regions, incl. in 18 regions, the growth rate of consumption exceeded 10% compared to the level of 2016. The leaders in terms of consumption of cement are the Moscow region (about 15% of all-Russian consumption), the Leningrad region (7%) and the Krasnodar Territory (6%). The average price of producers for cement (excluding VAT and delivery) in 2017 amounted to 3,365 rubles per ton, which is 8.7% higher than the level of 2016. The average price for the purchase of cement (including VAT, delivery, sales and intermediary costs) in 2017 increased by 6.1% compared to 2016 and amounted to 4,336 rubles per ton.